The Supreme Court ruling on the most expensive cake in the UK’s history has shocked LGBT groups throughout the country. When reading the headlines, my initial reaction was that of disappointment. A closer reading of the case, however, reveals complexities and implications on freedom of speech that may have been initially overlooked by the first two rulings. For those unfamiliar with UK ‘gay cake’ case, it started in 2014 when LGBT rights activist Gareth Lee ordered a cake at Belfast’s Ashers’ bakery for a private function at Queer Space Belfast. He had made orders with the company on previous occasions without issues. The order was initially accepted, however the bakery refused to complete the order a few days later, issuing a refund, citing inconsistencies of their religious beliefs with the message to be printed on the cake. Mr Lee had requested the cake to show two Sesame street characters with the message ‘Support Gay Marriage’ printed on it. Initially brought to the Belfast county court, the company was found guilty of discriminating against Mr Lee based on his sexual orientation. The appeal upheld the initial verdict. 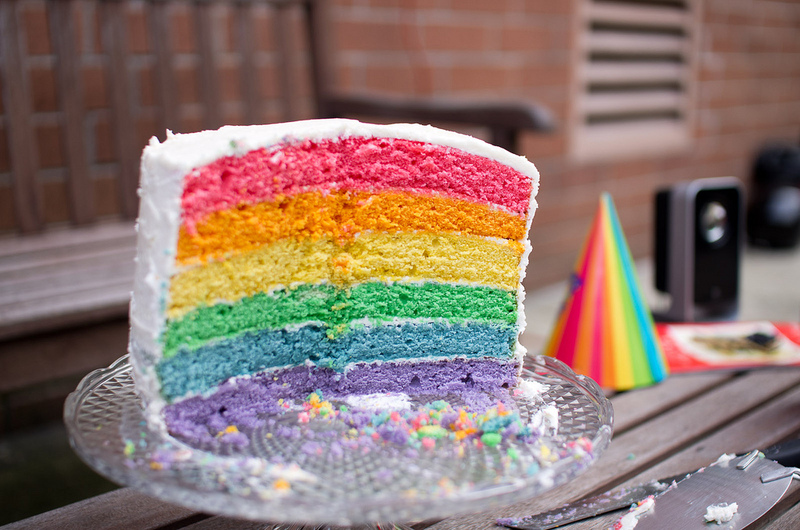 In last week’s ruling however, the Supreme Court had reversed the previous verdicts, citing the political message on the cake as a refusal for service, rather than Mr Lee’s sexual orientation. In UK legislation, a discrimination lawsuit can be filed if a person or a group feels they have been discriminated against based on their identity (sexual identity, gender identity, racial identity). The Supreme Court judges decided this was not the case in this instance as the bakery has served Mr Lee before and would serve him again. The bakery would refuse to produce a cake with a message of support for gay marriage to a straight person just as well as to someone who is gay. As a result, it can be reasonably argued that Mr Lee was not treated less favourably because of his sexual orientation, rather the bakery has exercised their right to operate their business outside the realm of political debate. Whilst it is disappointing that this is a belief held by the McArthurs, the owners of Ashers’ bakery, and it is understandable this incident had left Mr Lee feeling like a ‘second-class citizen’, it is crucially important the McArthurs’ rights are protected too. Under the European convention on human rights, article 10, freedom of expression includes the right not express an opinion one does not hold. Lady Hale, the Supreme Court justice deciding on the case pointed to the wider implications of their judgement: ‘This court has held that nobody should be forced to have or express a political opinion in which he does not believe’. The implications of the Supreme Court ruling are that no business will be forced to portray a message inconsistent with their beliefs. For example, a bakery will not be forced to complete a cake order that would include the message ‘Oppose Gay Marriage’. The case understandably heightened tensions as gay marriage remains illegal in Norther Ireland, in comparison to the rest of the UK where it became legalised in 2014. It also raises the potential that more cases like this will be brought forward. However, it is important to stress that discriminating against someone based on their race, gender, sexual orientation, or other protected characteristic remains illegal in the UK and this case, in my opinion, bears no effect on that.